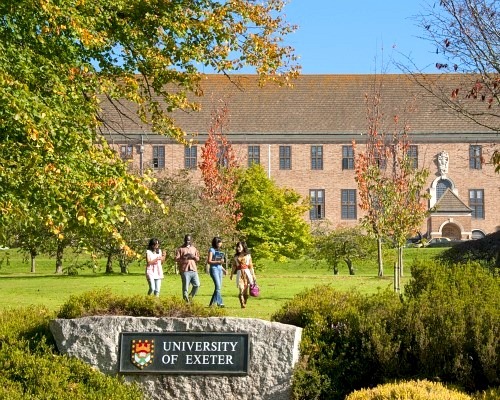 Located in a picturesque city in England’s South West, Exeter University is one of the leading lights amongst the Russel Group university’s and home to some 15,000 undergraduate students. Whilst on the surface it appears serene and middle class, on the street there is a real buzz about the place, particularly in term time. It’s a fantastic place to study and consistently ranks amongst the top 10 universities for student satisfaction in the UK. Now, heading off to university is an exciting time in any young person’s life. It’s often the first true taste of freedom and a chance to live independently and under your own rules. What’s more, for many students it’s the first time they’ve had to really look after their own financial affairs and budget for rent, food, studying and everything else that comes along with studying. If this sounds like familiar then this guide could be for you; a comprehensive guide to the cost of living at Exeter University. Students at Exeter have a number of options when it comes to accommodation, which is useful as rent is typically going to take the largest chunk out of your monthly budget. There are university halls on campus, private halls slightly off campus and a number of privately let houses available to students around time. Most students live within the triangle formed by the city centre, the university and the football club and almost all accommodation is available for under £180. For students on a budget, accommodation much cheaper is also available either in halls or private rented accommodation. In terms of bills, many halls of residence include utility and internet as part of the rent agreement. If you plan on living in private rented accommodation budget around £300-£400 per annum for bills. For more information or to find a halls of residence, Google ‘student accommodation Exeter ‘ and browse what’s on offer to you. If you choose not to live in catered halls you should expect to budget somewhere between £25 and £40 a week for food. There are all the usual supermarkets in town, plus a number of outlets serving food on campus where prices range from around £3.50 to £6.50 per meal. There are also several street markets in Exeter if you want to find anything extra special. The Streatham Campus restaurant serve halal chicken, as do the two international supermarkets found in town. Upon receiving the recommended reading list in the weeks running up to first term, many soon-to-be freshers panic and splurge several hundred pounds on text books. Resist the urge to do this as there is a huge library on the Exeter University campus, which is home to over 1.2 million books and publications. If you find you need to purchase a certain textbook for a particular course, look online or visit the Guild for book fairs, where you can pick up second hand textbooks at a fraction of the price. Now, what would student life be without time to enjoy yourself? In terms of nightlife, there are several student nights and cheap pubs and bars around town. The Imperial Weatherspoon’s is a favourite haunt amongst students seeking cheap drinks deals and the Lemmy, hosted at the Guild, is a popular student night with cheap drinks. On average expect to pay between £5 and £10 for entry into clubs such as the Lemmy and Timepiece. In terms of eating out Exeter is typical of the rest of Cornwall and the South West. Expect to pay somewhere in the region of £8-£10 for lunch and up to £15 for an evening meal, plus around £12 for a bottle of wine in a restaurant. Other costs to consider include toiletries and personal items, the cost of laundry and other household items. Budget around £25 to £30 for these; they are all available in town.